Labthink Instruments Co., Ltd is a multinational company that is devoted to helping customers succeed, employees grow and brands gain respect. The headquarters of Labthink is in Jinan, China; its international headquarters is in Boston, USA and its SAC IT Center is in Hong Kong, China. The company has more than 50 international distributors and more than 30 international service providers. Their core businesses include the R&D of laboratory testing instruments, packaging testing and test data processing services. They are dedicated to providing integrated professional quality control solutions for packaging manufacturers, food and beverage producers, medical and pharmaceutical companies, and daily chemical and printing industries. All Labthink testing instruments are featured with advanced testing technology and comprehensive configurations. Instruments are professionally used for flexible materials testing, which mean more accuracy, more precision. They also provide free training and door to door services for their equipment. Equipped with Labthink testing instruments, Labthink Laboratory provides consultative testing services for food and packaging industries. Not only provide test results and reports, the lab technicians also help customers to find and solve problems with reliable and considerate services. Labthink Packaging Safety Testing Center was established in 2000, which is divided into a Research Laboratory and Cloud Testing Centre. The total area of laboratories reaches 410 m2 and testing area is 360 m2. 120 testing instruments, which are worth a total of 30 million US dollars, are utilised to perform a variety of test items including barrier, tensile property, heat seal, hot tack, COF, thickness, tear strength, impact resistance, heat shrinkage, leakage, flex durability, adhesion, colour fastness, and GC, etc. Labthink is not only an instrument supplier, but also a solution provider. 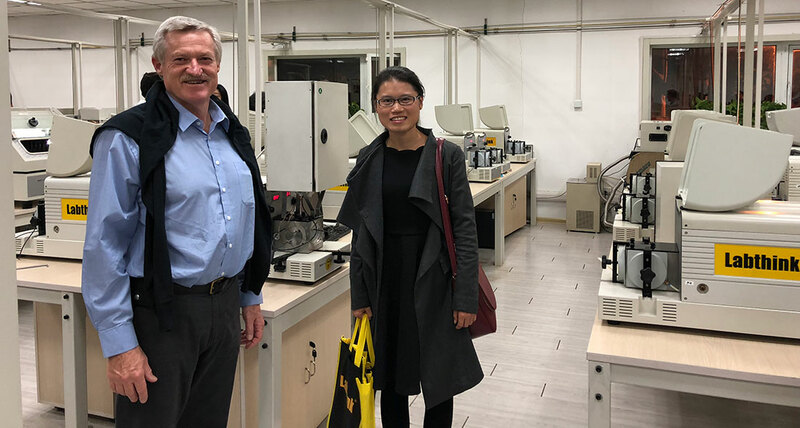 Labthink is the ultimate testing technology so if you need any assistance in Australia and New Zealand please contact Belle Zhai, Sales Manager, International Sales Department, Labthink on belle.zhai@labthink.com and please mention the AIP.